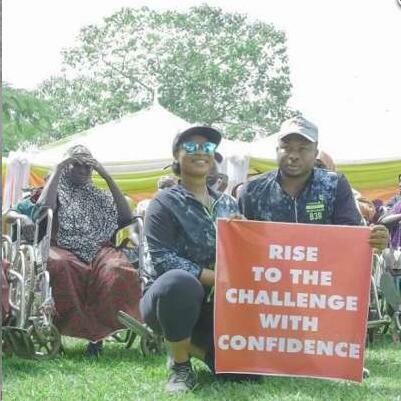 In a video shared by Goldmyne TV, Tonto Dikeh can be seen so passionate about the cause. A troubled Tonto can be seen acting out before finally breaking into tears. 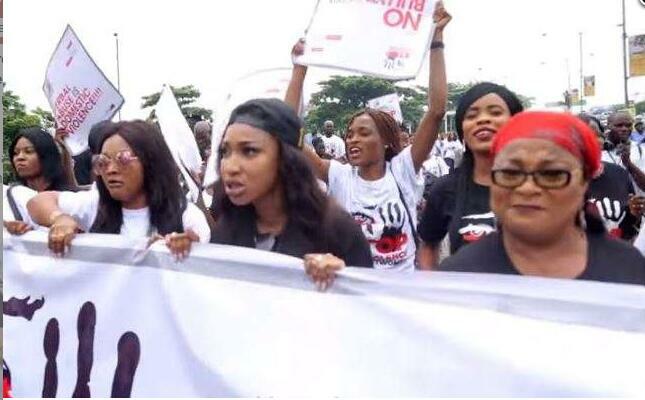 The trio in conjunction with the 1in3 Africa campaign are walking the streets of Lagos today, June 30, 2017, to show their displeasure at the high rate of domestic violence cases. 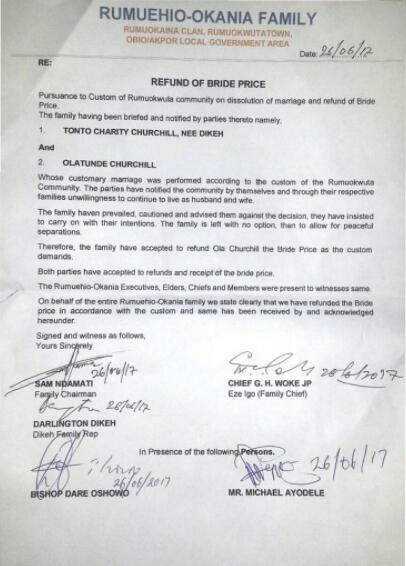 Meanwhile, Tonto Dikeh’s bride price was recently returned to her ex-husband, Olakunle Churchill recently. Families of the estranged couples met in Port-Harcourt, River state to dissolve the traditional marriage. Reports say the actress’ father, Sunny Dikeh handed the bride price to Olakunle’s uncle, Bishop Dare. In a video posted on Instagram, Tonto was seen dancing and rejoicing following the news that her traditional marriage has been annulled. It is obvious that the animosity between the former couple is far from diminished. The couple who got hitched in 2015, have been at loggerheads since their marriage fell apart earlier this year, and their son who just turned one is quickly becoming the bone of contention.